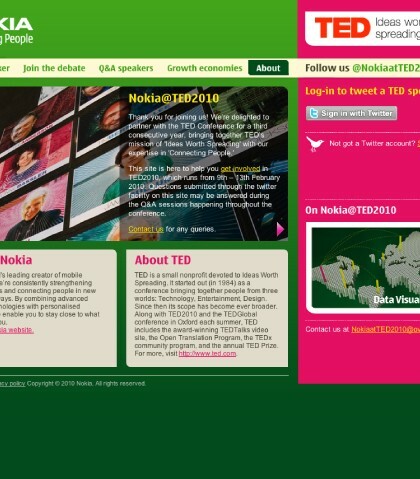 An exciting design and build for two well respected brands, Nokia and TED – a social microsite to promote Nokia presence at the Annual TED Conference. 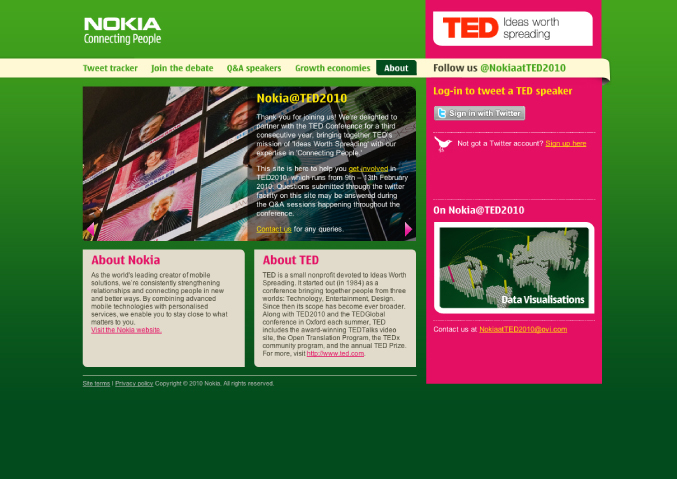 We incorporated Nokia’s branding with the latest CSS3 techniques and open source type. 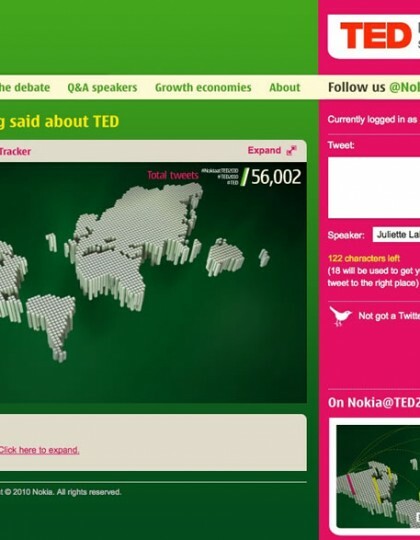 We built a bespoke content management system so editors could amend the pages during the conference. 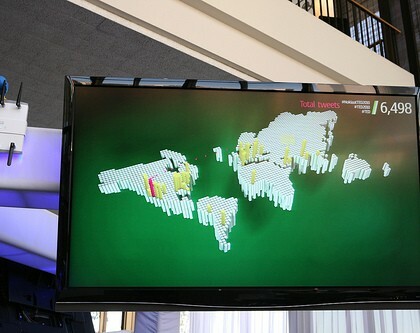 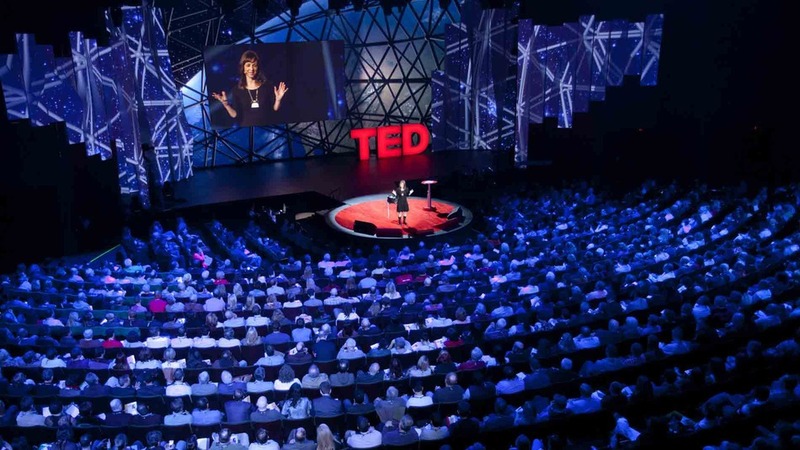 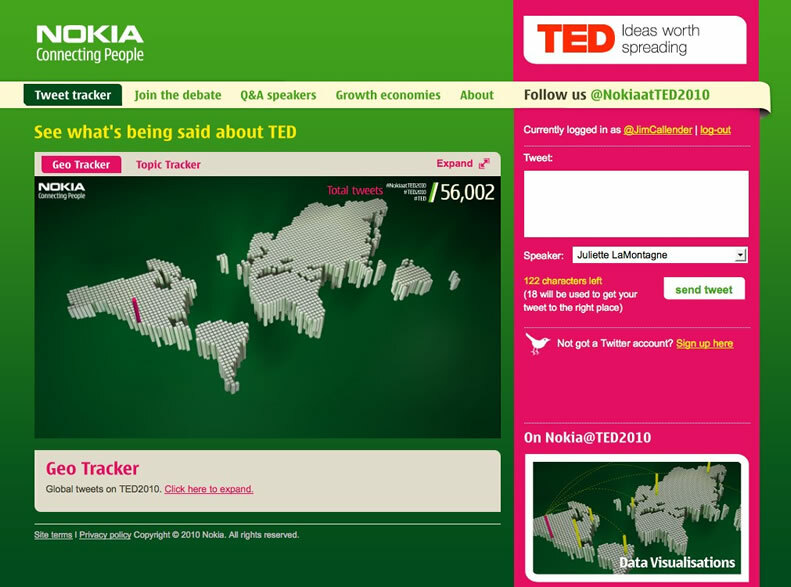 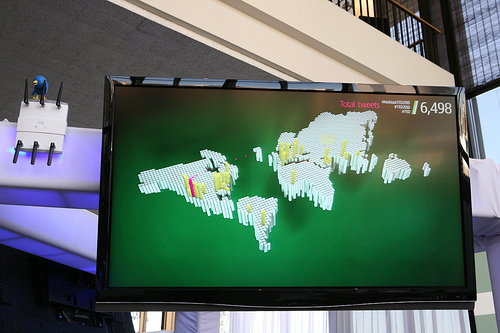 A cutting edge flash app was used so users to visualise the Twitter ‘tweets’ tagged #ted.